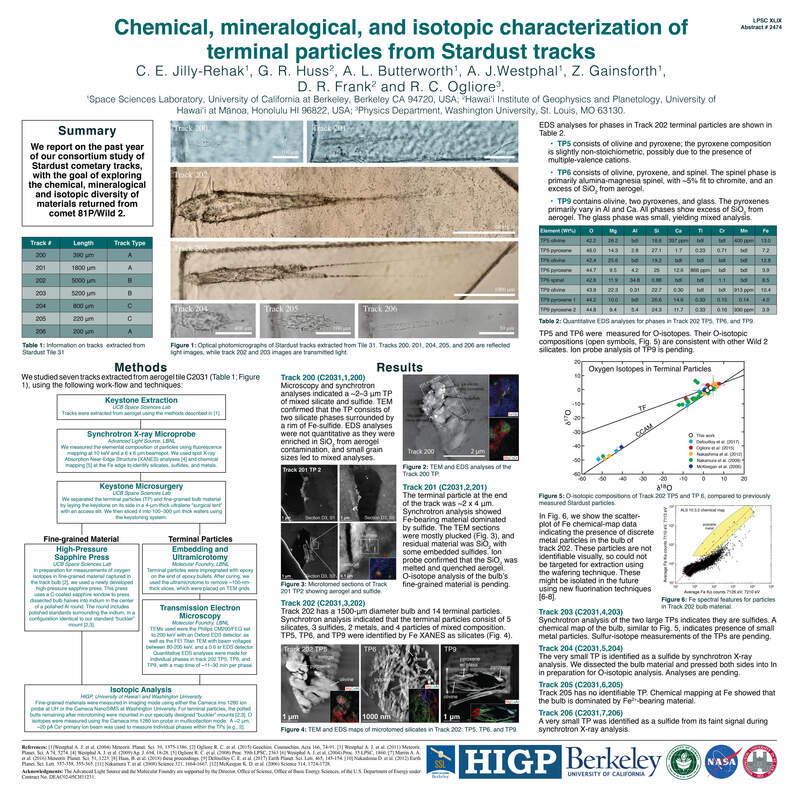 Check out our e-poster that was presented at the Lunar and Planetary Science Conference last week: Chemical, mineralogical, and isotopic characterization of terminal particles from Stardust tracks. We investigated seven tracks returned from the Stardust mission, and investigated the small comet particles using a wide variety of techniques. We found many sulfide grains, as well as some silicate grains that were further analyzed using the TEM and ion microprobe. You can download the .jpg version here.